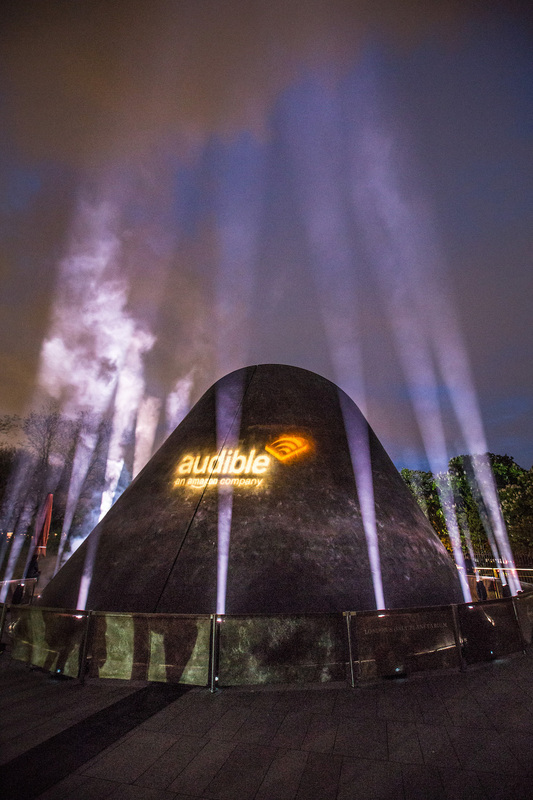 A couple of weeks ago, I was invited to a world-first, a first-listen to the new Audible book, Alien:River of Pain, followed by witnessing it being beamed into space for potential aliens to hear. The event took place at the Royal Observatory in Greenwich. 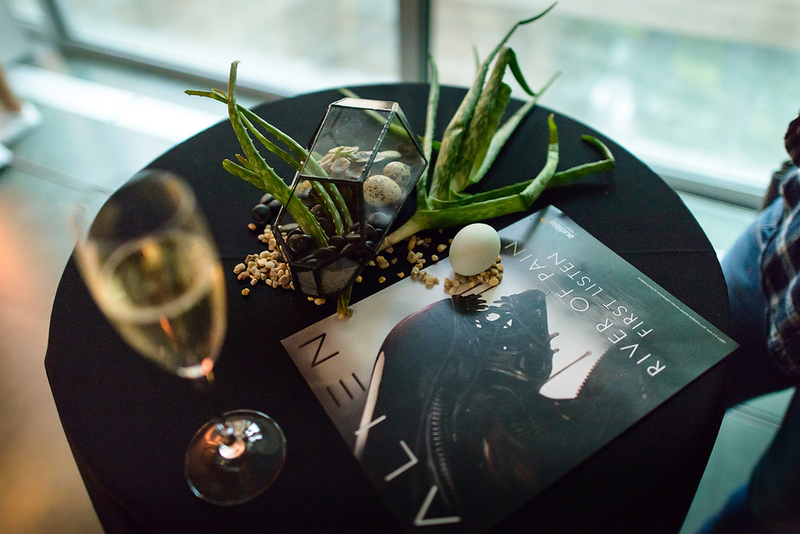 First off we were treated to some lovely drinks and canapés, served with plant and egg decorations (very on theme). Before we entered the Planetarium to listen to the Royal Observatory’s Astronomer Tom Kerss talk to us about the stars (I could listen to him all day). He talked us through where the star and the fictional moon that Aliens is set on before we listened to an audio clip from the book, which has an all-star cast. Alien:River of Pain was released on #AlienDay, on the 26th April (a nod to LV-426) – and just ahead of the theatrical release of Ridley Scott’s Alien: Covenant. Alien: River Of Pain is an audio-exclusive drama taking place between the cult films Alien and Aliens. As we looked at the stars in the constellation Cancer, we were transported to the dark and dangerous environs of planetoid LV-426 (now renamed Acheron) as we listened to the clip. We then headed outside to witness the audiobook converted to a digital signal and beamed up to space. 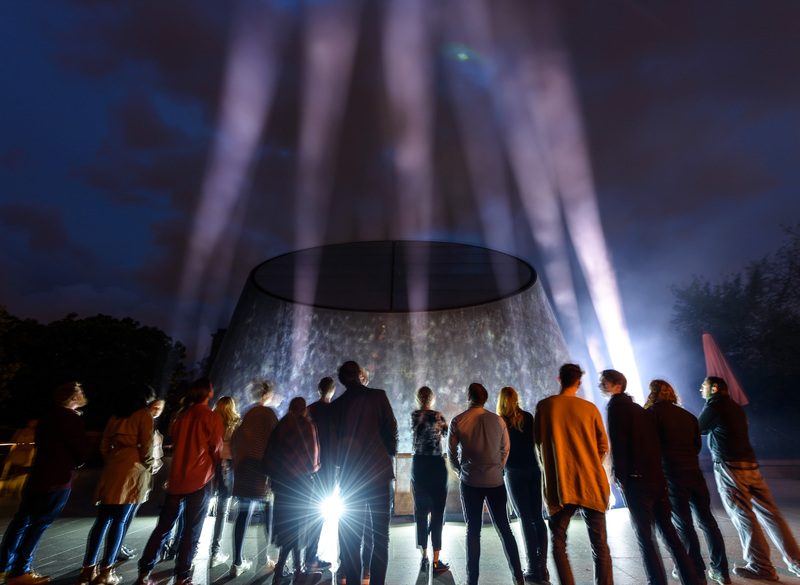 This marked a first of its kind, dedicated space transmission for the Planetarium at the Royal Observatory and a unique opportunity for our alien neighbours to listen to their kind, as imagined by Homo sapiens. Travelling at the speed of light, the Alien: River Of Pain signal will reach the star 55 Cancri (in the constellation Cancer) and its five known exoplanets* in 40 years, where it could be intercepted by intelligent species listening out for radio signals from space (in just the same way the SETI project** does here on Earth). The 55 Cancri exoplanet system is about the same distance from our planet as the fictional Acheron in Alien: River of Pain and its parent star Zeta2 Reticuli. Alien: River Of Pain is directed by the multi-award winning Dirk Maggs, best-known for his adaptations of Douglas Adams’ Hitchhiker’s Guide To The Galaxy and Neil Gaiman’s Neverwhere for the BBC. The drama brings together a powerhouse of sci-fi and fantasy talent, with lead performances from Anna Friel (Golden Globe nominated, Limitless, Pushing Daisies), Alexander Siddig (Game Of Thrones, Star Trek: Deep Space Nine), Bill Hope (Aliens), Colin Salmon (Alien VS Predator, Resident Evil, Arrow), Philip Glenister (Outcast, Life On Mars), Marc Warren (Hustle, Green Street Hooligans) and Michelle Ryan (Bionic Woman, Dr Who, EastEnders). Alien: River Of Pain was released on Alien Day, 26th April 2017 and is available now at www.audible.co.uk/riverofpain (one credit for Audible members, £19.79 for non-members or free with Audible’s 30-day trial).